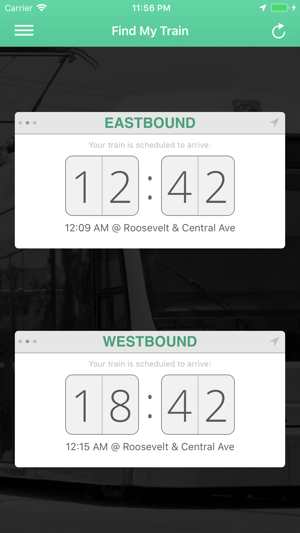 With one tap, Find My Train tells you when the nearest Valley Metro Light Rail train is scheduled to arrive. 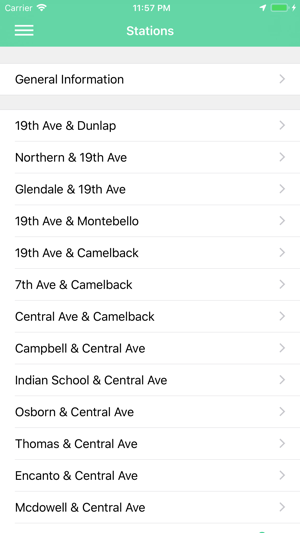 If you ride public transportation in Phoenix, this app is for you. - Easy to navigate eastbound and westbound Light Rail arrival times. Feedback? Requests? Please email us at findmytrain@gmail.com or tweet us @findmytrain. Please note: Find My Train was not commissioned by Valley Metro. We do our best to provide the most complete and up to date information for Valley Metro Light Rail riders. It doesnt know where the train actually is... So late early trains which is always are missed. 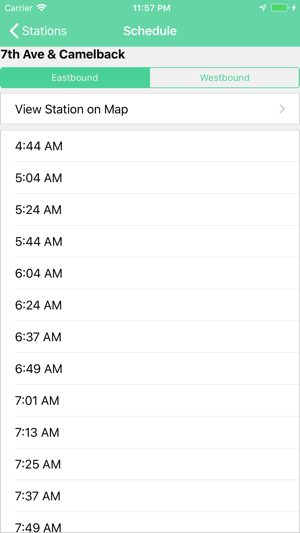 The app hasn’t been working for several weeks. Here's the story of Find My Train. Adam Mann hated waiting for the Light Rail. Even worse, he hated barely missing the Light Rail. 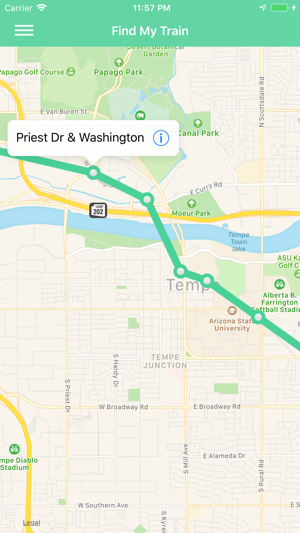 So at Startup Weekend Phoenix, he pitched an idea to build an iPhone app that told you when your train was coming so that you could enjoy the moments in your life just a little longer. A team formulated around Find My Train. The team worked on a prototype. Of the 12 teams that presented, Find My Train took 2nd place. In the course of a weekend, Find My Train was born. This app puts you in charge of how to spend your time. It's simple, beautiful, and we hope you enjoy it as much as we do.